It seems that there in an ongoing debate about the safety of wireless networks. There is some concern that exposure to all of this non-ionising radiation can damage our chromosomes or DNA or something. There's a Panorama on it and everything, and it was all over the news when I was listening to the radio this morning. Here's the thing though: the levels of radiation emitted by wireless networks are 600 times less than the Government's recommended safety limits. Not 6 times less. Not 60 times less. 600 times less. 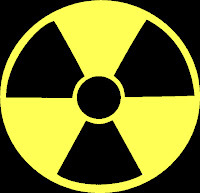 The radiation emitted by a microwave oven is 100,000 times more potent. You could sit in a WiFi hotspot for a whole year and you would only absorb as much radiation as you do in a 20 minute call on a mobile phone. Is it just me, or should they just revise the guidelines or just shut up? Honestly, haven't we got more pressing things to be worrying about? Global warming, perhaps? War? Famine? Natural disasters? Man's continuing inhumanity to man? The identity of the next Joseph on the West End stage...? Then again, they used to think that smoking might help clear up persistent coughs and that mercury was good for stiffening hats*.... so I suppose you can't be too careful eh? *I suppose that technically mercury actually was good at stiffening hats, it just wasn't such a great idea for the hatters**. ** well, I suppose that from a business point of view the hatters probably thought it was a great idea.... who wants a limp hat? EMF is dangerous, but right now it would seem alarmist to get worried about hotspots. The fact of the matter is that almost everything produces EMF, every person and many objects. Often the problem is not so much the strength but the frequency. Frequencies that are in phase with the frequencies that our bodies operate on, can amplify those internal frequencies, or if out of phase the right amount negate them entirely and all sorts of other things. So yes, the possibility is there. Still the medical authorities will let us know if they can find a strong link. Perhaps it will require engineers to be a bit more careful when designing wireless devices, but I am pretty sure it is a problem that can be dealt with, as we already deal with the EMF produced by biomedical devices that we insert directly into the body.